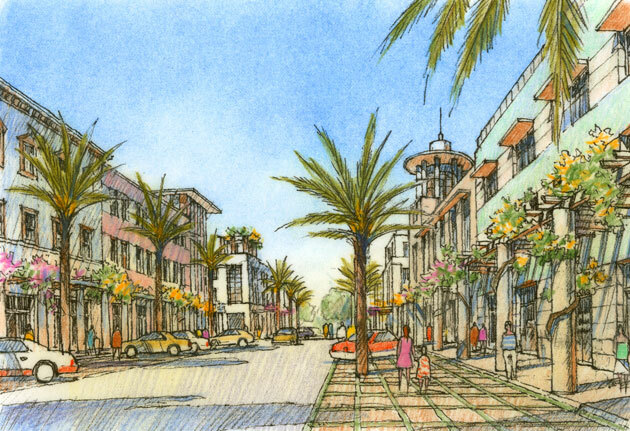 The University Town Center is a vibrant satellite center for Sarasota that transforms a partially completed conventional suburban development into a permanent mixed-use town center. The shaping architecture, open spaces and landscape create a harmonious new ensemble. A number of sustainability measures were incorporated, responding to the county’s wish to be a national leader in the field of ecological design. 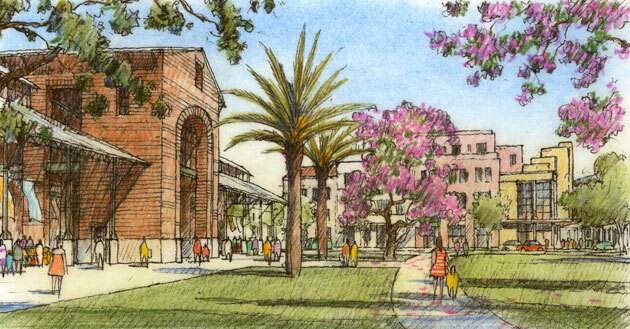 A significant outcome of this effort was the integration of separated plan areas and the incorporation of progressive New Urbanist planning principles. The enhanced design reflects a significant change in approach and emphasizes place making, spatial and architectural integration, sustainability, connectivity, transit and traffic capture, a jobs-housing balance, creation of a network of streets and blocks, public space, and use of permeable parking areas. The result is a broad mix of uses, including 1,900 square feet of retail, residential, theater, and office / live-work. 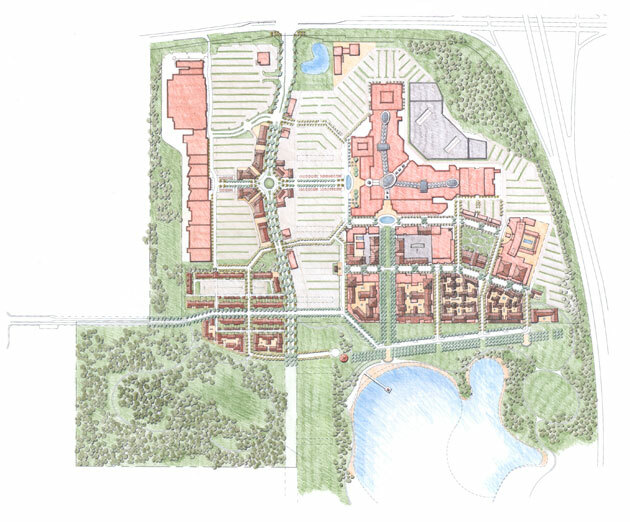 The 261-acre site offers scenic vistas and access to natural trails and open spaces, a lakefront esplanade, and diverse pedestrian- and bicycle-oriented streetscapes.